Epes Sargent was a 19th century American poet, playwright, novelist and newspaper editor. 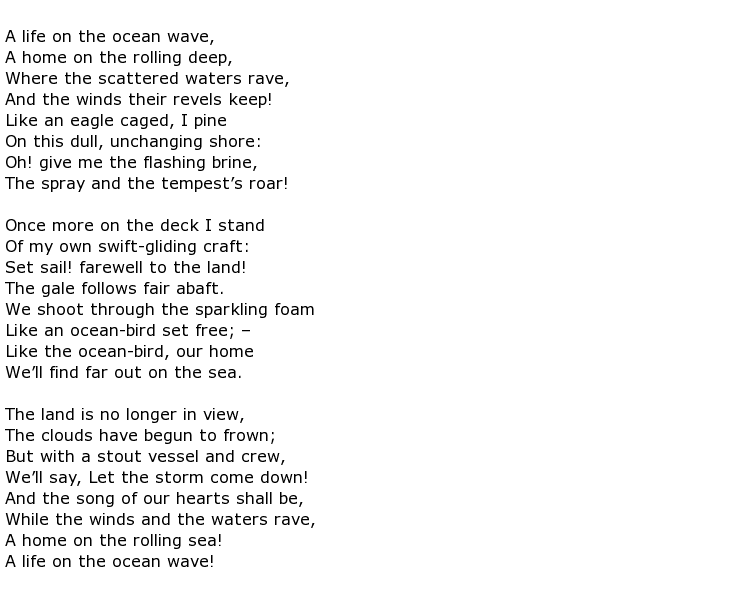 Probably his best known popular piece of work was the poem A Life on the Ocean Wave which was set to music and turned into a jaunty nautical song which is still sung to this day. He was born on the 27th September 1813 in Gloucester, Massachusetts. His father, also called Epes, was a ship master. He lost his mother when aged six, just after the family had moved to Roxbury. He had to interrupt his education at the Boston Latin School in order to accompany his father on a six-month trip to Russia but he was able to return to school as soon as they got home. His literary talents led to him setting up the school’s first literary journal. Not surprisingly he included accounts of his trip to Russia in there. Going on to Harvard afterwards, he also contributed articles to the college magazine, known at the Harvard Collegian. This publication had, coincidentally, been set up by his older brother John Osborn Sargent. Epes began working on the Boston Daily Advertiser as an editor in 1831 and followed this with a better assignment, as Washington D.C. correspondent at the Daily Atlas, also in Boston. His work at the Atlas led to his collaboration with the author Samuel Griswold Goodrich who, writing under the pseudonym Peter Parley, set out to embellish already written biographies of the founding fathers of the United States with “fancy and legend”. Shortly after writing this Sargent moved to New York and continued his association with a number of periodicals and newspapers. He even tried to set up his own literary magazine but Sargent’s New Monthly Magazine did not last long, up against much competition. 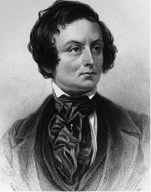 His first collection of poetry came out in 1844 under the title The Light of the Lighthouse and Other Poems and he followed this with his first novel. Fleetwood, or the Stain of Birth was his take on American life and was published a year later. Like most writers he sought out the company of fellow poets and novelists and he was a member of the “Knickerbocker Group”, other members including the likes of Nathaniel Parker Willis and William Cullen Bryant. He was a popular and much-respected figure in literary circles and his output of work was substantial, adding a number of school books to his list of achievements. Epes Sargent contracted oral cancer and died in Boston on the 30th December 1880, aged 67.